Home / Fanboy News From Around The World / Fanboy News! 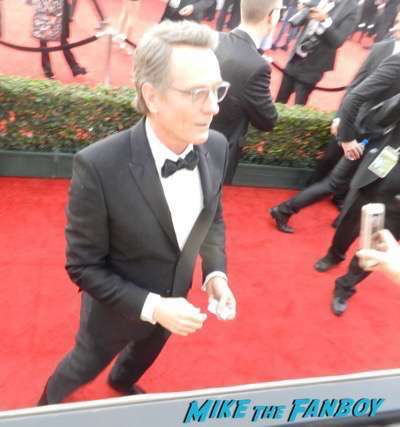 Bryan Cranston No-Autograph Celebrity? Super Bowl Autograph Collecting! Eagles Legend Defaces Memorabilia! And More! Fanboy News! Bryan Cranston No-Autograph Celebrity? Super Bowl Autograph Collecting! Eagles Legend Defaces Memorabilia! And More! Some fun stuff this week! Bryan Cranston says no more TTM autographs! Super Bowl autograph collecting! and More! Got some Breaking Bad merch you’d love Bryan Cranston to sign? Bad luck – he won’t be autographing it any time soon.”After 18 years of signing everything for fans – I’m retiring,” the star has announced on social media, complaining he has been “overwhelmed by requests”. You may look down at autograph collectors, but please don’t denigrate the artform. The best are savants. They have a deep and fast recall for faces, a master angler’s intuition of the environment, Zen-like patience, snap-quick reflexes, and, finally, a touch of gentility.And even then, sometimes you whiff. Brian Westbrook still loathes the Dallas Cowboys.The long-retired former star of the Philadelphia Eagles will use any opportunity he can to take a jab at America’s Team, and recently he did it at the expense of a Cowboys’ fan who — for some odd reason — thought it a good idea to ask for his autography while enjoying the festivities of Super Bowl 52. The young man provided Westbrook his newly-purchased cap for some penmanship and he got what he asked for and a whole lot more when the Eagles’ legend added some spice to the signature. Score one for O.J. Simpson, who just won a legal round against Fred Goldman over autograph signing. 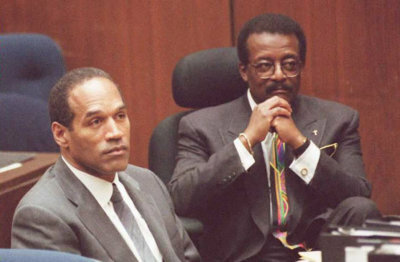 Ron Goldman’s dad went to court to get an order forcing anyone who profited from O.J. Simpson signing autographs to turn over the proceeds to him to satisfy the $33 million civil judgement that has swelled to $70 million. Something to know about him: Besides being co-founder and president of the Springfield lobbying firm, Cook-Witter Inc., and active in community groups, Randy Witter is an avid autograph collector. He has between 75 and 100 signatures of presidents, sports figures and other well-known people. It’s a hobby he started around the time he was in college. For anyone interested in this pastime, he recommends two organizations: the Professional Autograph Dealers Association and the Universal Autograph Collectors Club. As surely as the sun will rise, Guillermo from “Jimmy Kimmel Live” will be at Opening Night of the Super Bowl wreaking havoc on unsuspecting players. This year was no exception, though he did find a welcome reception from Tom Brady. When Guillermo, perched up on a ladder, said hello, it was like two old friends reuniting, and it was awesome. Shares of PayPal sunk 7% Thursday after its former parent revealed it would no longer use the payments service as its primary processing partner. Along with its earnings report after hours Wednesday, eBay announced a deal with processor Adyen to become its primary partner. The company said PayPal will continue to remain a payments option for eBay buyers during checkout, at least for a few years. Fanboy News! Kate Upton “Ugly” Human? What Is Your Autograph Worth? The Rock Meets Terminally Ill Fan On Easter? Kris Bryant Rookie Card Worth 90K? Fanboy News! Walking Dead Fans Get Crazy Autograph Tattoos! Star Gives Fan His Surfboard! Martin Freeman Says Fan Pressure Ruined Sherlock For Him! And More! Fanboy News! A Woman Gets Fired For Asking For A Prisoners Autograph! Country Duo Confronts eBay Sellers! Babe Ruth Signature Gets Donated! Love the info,keep it up!